ASSEMBLY or PRESENTATION – WOHAA most often starts with us coming to visit your school for an assembly, class or careers fair in September-November, and we try to tell you as much as we can about WOHAA. REGISTER – Students then register online by the END OF NOVEMBER. FUNDRAISING – We strongly encourage innovation and creativity whilst doing all your fundraising! If you are not sure where to begin, click here. Our Resource Centre provides lots of info on, for example, how to speak to your local newspapers and contact your local businesses. 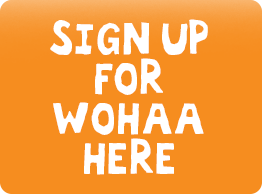 Your WOHAA mentor should make contact within a week of you signing up. If they do not, email us on info@thewingsofhope.org. We are always just a phone call away if anyone has any queries. Teams have until the END OF MARCH to fundraise all they can. SNAPSHOT PROJECT SUBMISSION – You will need to record all your experiences and fundraising adventures in a ‘Snapshot Project’ which can be presented to us in the form of a scrap book, PP presentation, video or even a rap! Again, we must receive this project by the END OF MARCH. Remember to include a Snapshots Submission Form with your project. For more information about the project, click here. PRESENTATIONS – After submissions, teams are shortlisted to present at the Houses of Parliament to a great panel of judges. This happens in APRIL each year.These teams/individuals will be invited to give a five minute presentation of their project and present their WOHAA journey to our distinguished panel of judges, with a short question and answer session at the end. AWARDS – The winning teams are then announced at our Annual Awards Ceremony. This event usually happens in MAY/JUNE each year. It is a big night of celebration to say thank you to all WOHAA participants for the funds they have raised and their efforts. There are 6 award categories: Most Awareness Raised & Best Presentation, Most Funds Raised, Excellence in Sport/The Arts/ Culinary/ Technology (as part of the fundraising project), Community Action Award, Most Entrepreneurial Team/ Individual, Overall winners. PRIZES – The overall winners receive an expenses paid trip to India, to teach in the school we support. This is what make our programme so unique, in that students can follow the project from conception through to completion and see exactly where the money is going! The winners for each category are offered invaluable work experience/internships with top UK employers, such as Saatchi & Saatchi, Tata Consultancy Services and ARUP.